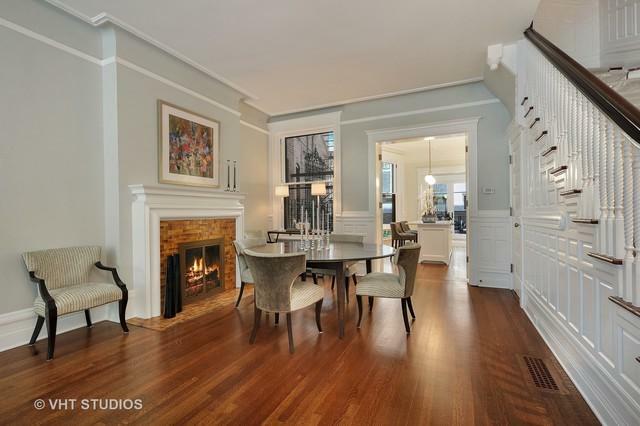 Exquisitely renovated Potter Palmer Greystone on beautiful tree-lined Ritchie Court. "MUST SEE" historic makeover! 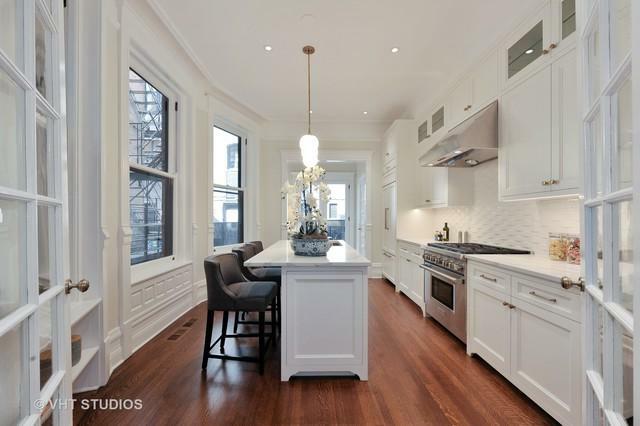 Top-to-bottom renovation completed in 2018 and features only the finest high-end finishes combined with meticulously preserved vintage detail & architectural integrity. New central a/c and wiring; 4 zoned HVAC. 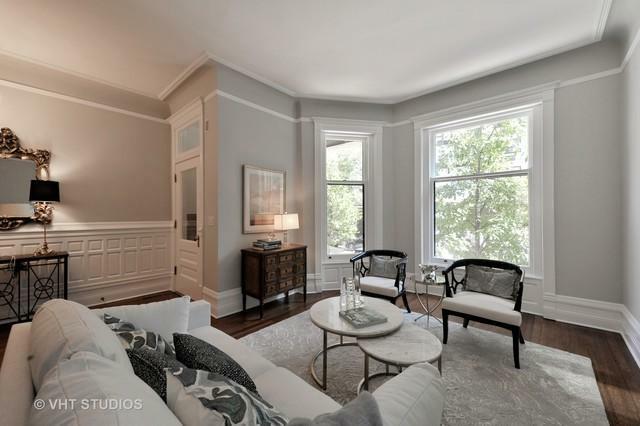 Original beautifully restored features include hand carved staircase, wood floors, leaded glass windows, mosaic tile foyer, plaster moldings and 12' ceilings. Main level has been thoughtfully reconfigured for today's lifestyle with open living, dining and chef's sunlit eat-in kitchen plus large outdoor grilling balcony. Second level has full floor master suite, separate sitting room/office and washer/dryer. Top level features 3 bedrooms, 2 baths and skylight. Generous room sizes throughout. Lower level has family room, laundry, kitchenette and 5th bed/bath ideal for nanny/guests/teen. 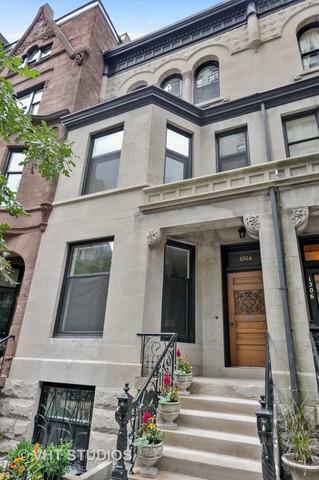 Just steps to Lake, Goudy Park and Lincoln Park. Leased garage parking next door. Sold by Engel & Voelkers Chicago.